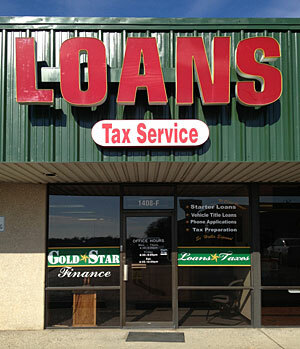 "The Gold Star Finance office in Atlanta has people that are understanding and willing to help." Temple is a city in Bell County, Texas, United States. Located near the county seat of Belton, Temple lies in the region referred to as Central Texas. Located off Interstate 35, Temple is 65 miles north of Austin and 34 miles south of Waco. As of the 2000 census, the population was 54,514, and had increased to 60,118 according to a 2009 estimate. It is a "principal city" in the Killeen–Temple–Fort Hood Metropolitan Statistical Area. Called the "Wildflower Capital of Texas," Temple was founded in 1881 as a railroad town. It was named in honor of Bernard Moore Temple, a civil engineer and former surveyor with the Gulf, Colorado and Santa Fe Railway Company who established the town. For many years it was the home of the Santa Fe Railway Company's hospital for its employees. Temple is known for its strength as a regional medical center (this is primarily due to the highly respected Scott & White Memorial Hospital). Scott & White is the largest employer in town with about ten thousand employees. With Scott & White, the Veteran's Hospital Center, and other smaller clinics, Temple is home to more physicians per capita than any other community in the nation. Temple is the site of one of two major campuses for the Texas A&M Health Science Center College of Medicine. Medical students can elect to spend all four years of their medical education training or their two years of clinical training on the campus.